They demand that the government withdraw plans to take up bauxite mining The banned CPI (Maoist) has called for a bandh in the Agency areas of the district on October 12 and 13 demanding the Telugu Desam government withdraw move to mine bauxite in the Agency area. In a handwritten note sent to reporters in the Agency areas reportedly by CPI (Maoist) East Division secretary Kailasam, the Maoists said the Telugu Desam Party was solely responsible for the abduction of three Telugu Desam tribal leaders from GK Veedhi mandal. TDP mandal party president Mamidi Balayya Padal, senior leader Vandalam Balayya and district committee member Mukkala Mahesh were taken away from their homes at Kothaguda village in GK Veedhi mandal on last Monday evening by a group of Maoists. While charging the Maoists with using the bogey of bauxite mining the TDP government was trying to push through its MNC driven agenda of mining in the ecologically sensitive region, he said. The Chief Minister and other leaders were making public statements that they would not take up any activity that was not supported by tribals and on the other hand suppressing all dissent. The government was not taking note of the series of protests by tribals on the bauxite mining issue. Worse, the police acting as stooges of its political masters were trying to muzzle the dissent by cutting off the public address system when a former legislator was speaking at a recent meeting in Koyyuru. The police tried to stall another public meeting on the issue at Darakonda, the Maoist leader noted in his letter. The Maoists demanded that the government withdraw the moves by the AP Mineral Development Corporation to take up bauxite mining and shut its offices in the region. Earlier, Collector N Yuvaraj told media persons that the issue of abducted tribals was brought to the notice of the Chief Minister during his visit to the city. CM’s directive He said the Chief Minister had instructed the police to ensure the safety of the three persons abducted by Maoists. The government could respond only if there were some clear demands made for securing the release of the three tribal leaders, the CM is reported to have said. Gaya: Khaki, olive green and black – these are the dominant colours in the landscape of south and central Bihar ahead of the polls. On the eve of the first phase of polling the entire Maoist belt – ‘The Red Corridor’ from Banka to Kaimur – has virtually turned into a war zone with the presence of contingents of the state police, and Central Armed Para-military Forces (CAPFs). Fifteen Maoist-affected districts of the state go to polls in the first two phases of polling – 12 October and 16 October. The role of CAPFs has increased after the Election Commission of India’s (EC) new diktat – a first of its kind—that each and every polling booth in the state should be in command of the Central Reserve Police Force (CRPF). “Considering the gravity of the ground situation in Bihar during elections, especially in the Maoist infested districts, the EC has ordered for the first time that all the 62779 polling stations in the state should be under the command of the CRPF. For this, 250 companies of CAPFs have been deployed. The first two phases of polling are crucial as both will be in Bihar’s most sensitive region. If this experiment becomes successful, the EC will replicate it in future elections,” Inspector General, CRPF, Bihar, Arun Kumar told Firstpost. The CAPFs comprise CRPF, Border Security Force (BSF), Rapid Action Force (RAF), Indo-Tibetan Border Police (ITBP), Central Industrial Security Force (CISF) and Seema Suraksha Bal (SSB). In view of the repeated Naxal threats and the call to boycott the polls, the security cover across the Red Corridor has been scaled-up. Out of 38 districts, 33 are affected by Maoists. “Due to Maoist threat, 47 polling booths have been shifted in consultation with political parties and EC. Because in these areas the Naxals will try to cause maximum damage to poll parties and security forces through landmine blasts. We’ve already recovered a large number of landmines and IEDs. The islands in the riverine belt are also safe haven for the Maoists and to track them, we’re using UAVs. We’re constantly changing our operational tactics. This election will witness one of the largest mobilizations of central para-military forces (more than 60,000) in Bihar. We’re engaged in multiple roles, from protecting the booths and voters to the polling staff as well,” added Arun Kumar, who’s also Force Coordinator (Bihar) for CAPFs. The CAPFs in collaboration with Bihar Police, Bihar Military Police, Special Action Force and Special Task Force have chalked out an elaborate strategy to counter and nullify the possible Maoist attack during the polls. RANCHI: The Maoist attack in Godda, which killed two security personnels, indicates that the Maoists are out to try to disrupt Bihar polls, said police spokesperson S N Pradhan. The Maoist team which attacked the police was a small team comprising 20 extremists. The small teams find it easy to manage to dodge police. The Maoist team consisted of members from Maoists army wing People’s Liberation Guerilla Squad and they reportedly overpowered the security forces. Godda, a north-eastern district, shares border with Banka and Bhagalpur districts where elections will take place on October 12. Banka’s Dhoraiya and Banka assembly constituencies and Bhagalpur’s Pirpainti assembly segment have entry points from Godda. “The Maoists were checked before they could make their way into Banka. The Maoists planned to go to Bihar,” DGP D K Pandey told reporters. After the encounter state police sealed Godda’s border with the two Bihar districts and asked police officials to keep a check on cross country (through the forest) movement. “It is a local group of the rebels led by commander Shahdeo Rai alias Tala Da. He is a local commander,” police spokesperson S N Pradhan said. According to intelligence reports Maoists movement has increased in Bihar Jharkhand border ahead of polls in Bihar. The Jharkhand and Bihar police have held two coordination meetings to ensure effective policing in the border. In the wake of Godda ambush, the state police issued fresh directives to SPs of Sahebganj, Dumka and Deoghar, Giridih and Koderma (all bordering Bihar where first phase of elections will be held on Monday) to beef up security to check Maoist movement. Pradhan said CoBRA, JAP and SSB, the security forces specially trained to fight Maoists have been deployed in Godda. “It is an old tactics of the Maoist to use border area during polls. 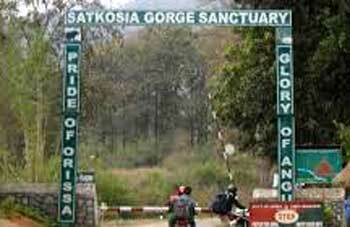 The border is dotted with river, hills and forests which make the habitation easy for them,” he said. Two Police jawans were martyred in a gun-battle with the ultras of CPI Maoist at Kathardih forest located under Sunder Pahadi Police station area of Godda in Jharkhand. The incident spot is located on the bordering areas of Pakur-Dumka district of this state. The ADGP SN Pradhan has been sent from Ranchi to Godda for monitoring the situation. Listening to the reports, the villagers could not suppress their laughter, despite the grim circumstances that had brought them to the region’s administrative centre. The policemen were lying, they said. They had trekked from their village on September 29 to secure the release of five village boys arrested by the police. A local journalist, Santosh Yadav, had noted their testimonies. Hours later, he too was arrested by the police. Now, the villagers had gathered in his support outside the courtroom where he was being presented by the police. Tribal activist and Aam Aadmi Party (AAP) leader Soni Sori has accused the Dantewada district police of killing a tribal farmer in Dantewada, calling him a Maoist, and burning his body to destroy evidence. Bhima Madavi, the farmer from Nilavay village under the Aranpur police station of Dantewada, was found dead on the evening of October 6. The body bore bullet injuries. “It was someone from the police who shot Bhima Madavi. Hundreds of policemen were present in the area when the incident took place. The villagers of Nilavay are also making the same claim,” Ms. Sori told The Hindu. The Dantewada police, she said, tried to destroy evidence by “forcibly burning” the body. “When I got to know of the incident, I told the villagers to preserve the body and that I would take them to the Aranpur station to file a complaint. We also wanted a post-mortem done; but before I could reach the village on Thursday, hundreds of policemen reached there and forcibly cremated the body,” she said. It’s a battle of ballots that will be fought under the shadow of bullets in Bihar’s Suryagarha constituency, one of the hotbeds of Maoist insurgency in the state. No party will officially acknowledge it but it is an open secret that the support of the CPI-Maoist – the dominant Left-wing insurgent group in the state – is crucial for winning the electoral battle in this constituency which goes to the polls on October 12. Though not as influential as before, the Red rebels are now mainly concentrated in the deeply forested Kajra hills where Maoist rebels had ambushed and killed seven policemen in 2010. The Red brigade had also abducted four police personnel and killed one of them before releasing the other three. Though a poll boycott call by the CPI-Maoists is seen as just a muscle-flexing by the rebels, sources said both the BJP and the RJD have sent feelers to the rebel leaders seeking support during the elections. “Any assurance from squad leaders, however, is yet to come,” an RJD insider said. The main contest is expected to be between the RJD’s Prahlad Yadav and BJP’s sitting legislator Prem Ranjan Patel, a two-time MLA. Patel admitted that “the Kajra hills are definitely crucial for the elections”. Nagpur, Oct 9 (PTI) Suspended Delhi University professor G N Saibaba and five others accused of having Maoist links have been directed by a sessions court in Gadchiroli to appear before it for recording of evidence in connection with the case on October 27. Saibaba along with Naresh Tirki, Pandu Narote, Hem Mishra, Prashant Sanglikar and Vijay Tirki were arrested by Gadchiroli police and later released on bail. The case was fixed for recording of evidence yesterday but Saibaba failed to appear before Gadchiroli Sessions Judge Suryakant Shinde while the other accused were present in the court. Moving an application for adjournment, Special Public Prosecutor P Sathianathan contended that prosecution does not wish to record evidence unless all accused persons are present before the court. He said serious prejudice would be caused to the prosecution if any of the accused was absent during recording of evidence. Sathianathan pointed out it was necessary that evidence should be recorded in the presence of all accused persons, as per section 273 of the CrPC. After hearing arguments of the defence and prosecution, the sessions court adjourned the matter and directed Saibaba and five others accused to remain present at 11 AM on October 27. Saibaba was arrested in May last year by Maharashtra’s Gadchiroli police on charges of allegedly being a member of the banned CPI (Maoist), providing logistics and helping in recruitment for the group. On June 30 this year, he was granted temporary bail for three months by the Bombay High Court considering his deteriorating health condition. The Communist Party of India (Maoist) has given a call for the boycott of polls in Bihar, espousing an armed agrarian movement across the state to establish “real people’s rule”. It has also threatened voters with serious consequences if they take part in a “mockery of democracy where the parties indulge in selling election symbols to contestants”. The call is in line with the banned outfit’s aversion to parliamentary politics. In a four-page note issued by its Bihar-Jharkhand Special Area Committee on Wednesday, the Maoist group did not spare the Left parties too. It called them “power-hungry organisations”. 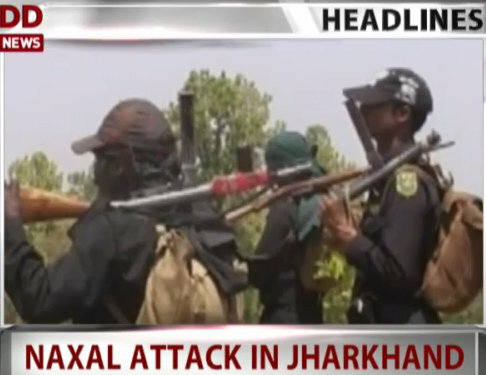 At least three police personnel in Chhattisgarh were injured in an encounter with the Naxals in Sukma on Thursday. The encounter took place in the morning. New Delhi :- Four CoBRA jawans were today injured in separate Naxal incidents in Chhattisgarh’s insurgency-hit Sukma district, police said. While three personnel were hurt during a gunbattle between security forces and ultras in Bhejji area, another sustained injuries in a pressure bomb blast laid by ultras in Chintagufa area, Sukma Additional Superintendent of Police Santosh Singh said. In the first instance, the face-off occurred in the restive Tetri forests under Bhejji Police Station limits while a squad of CRPF’s elite battalion-CoBRA (Commando Battalion for Resolute Action) was carrying out an anti-Naxal operation in the region, the ASP said. The team of CoBRA’s 208 battalion was mobilised from its Errabor camp this morning for the operation. Nine Tribal constables were killed after abduction this year. Kudium Pandu (30), an auxiliary constable of Chhattisgarh police posted in Farsegad police camp of Bijapur district in Bastar division, dropped his wife to Talmendri village on September 27 as her mother died. On September 28, Kudiuam Pandu again went to Telmendri for his mother-in-law’s cremation but while returning he was abducted by the Maoists. A local Tribal from nearby Chitanpalli village, Pandu was found dead hardly 500 meters from Farsegad police camp on the next day. Pandu is not the only local Tribal cop to have been killed after abduction in Bijapur this year. Eight other auxiliary constables, all from local areas, have been abducted and killed in Bijapur this year. On April 7, auxiliary constable Bira Basant was going to his village Madded, when the Maoists abducted him. For next two days, school children and local trading community organised “silent” rallies in Bijapur and appealed to the Maoists to release their “Tribal brother”. But the public appeal fell on deaf ears and on April 15, Bira Basant’s body was found on Gangaloor- Bijapur road. In the same month, Sundar Kashyap, posted in Mirtur police station and Bhagirathi Kartam posted in Kutaru police station of Bijapur, were abducted and killed by the guerrillas of Communist Party of India (Maoist) which claim to fight for “Tribal cause” in Bastar. In June, Telam Dokka, who was posted in Talipenta police station of Bijapur, was killed in the same fashion. On July 13, four auxiliary constables, Jaydev Yadav (30, Rama Majji (25), Mangal Sodhi (27) and Rajuram Telam (30), were returning to Kutaru police camp in a local passenger bus after withdrawing their salary money from an ATM in Nemed village. “The Maoists stopped the bus, took it a few meters inside forest and abducted all four after separating them from other passengers. Their dead bodies were found after two days on the same road,” informed Bijapur Additional Superintendent of Police (ASP) I. Kalyaan Elesela. They were unarmed Eight out of nine auxiliary constables killed after abduction in Bijapur this year, were local Tribals and were travelling without any weapon and in civil uniform for personal or family work.